ya gotta have art . . . .
Camp Douglas was created as a prisoner of war detention center during World War II in Douglas, Wyoming. 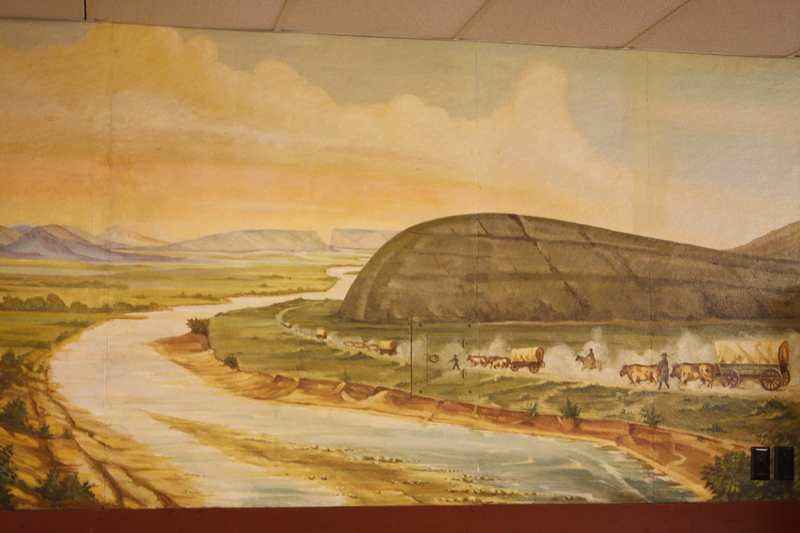 This mural, painted on the wall of the Officers’ Club by an unknown artist, is one of nearly two dozen that were left for posterity. 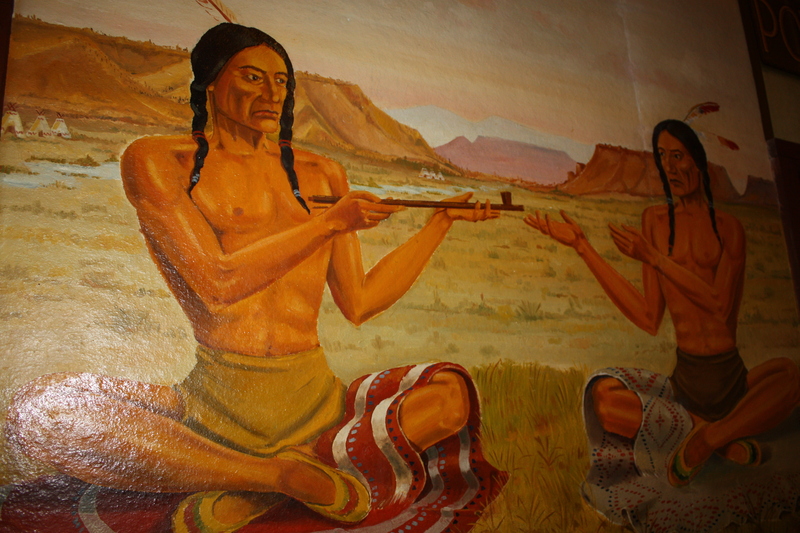 Depicting romanticized scenes of the Wild West, scenes in the murals were largely copied from books in the prison library at the time. Some alterations can be found in these copies of famous western paintings by Remington and others, but it does not diminish the effect. a river flows near it? . . . . 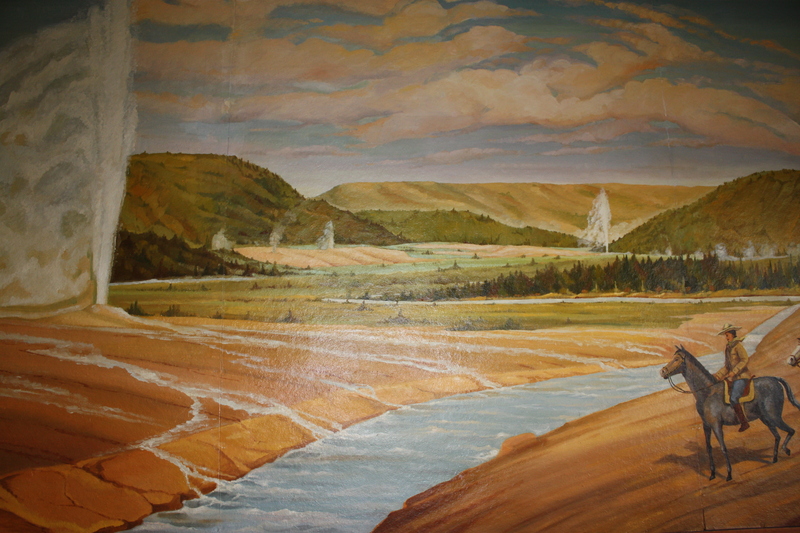 This scene of Independence Rock was enhanced with a river flowing nearby, which never actually existed. It makes for some nice scenery, however. This entry was posted in Wanderings and tagged POW Camp Douglas by bygeorge. Bookmark the permalink.